Jonathon grew up hiking, climbing, and skiing around Washington State. He received his bachelor’s degree from Western State College of Colorado in recreation and business. These days his hobby has become his profession, and he can be found splitting his time between Washington, Utah, Nevada, California and Europe. 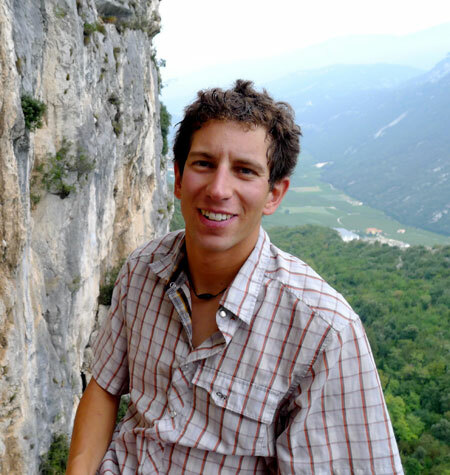 After spending four years going through the American Mountain Guide Association (AMGA/IFMGA) training program, Jonathon passed his final exam in the fall of 2009 and became the second youngest American to be fully certified in all three disciplines (rock, alpine and ski). During the spring and summer months he guides throughout the Cascades, the Alaska Range, British Columbia, French Alps and in Red Rock, NV. In the winter, he is a professional helicopter ski guide and avalanche educator. With trips to the Ecuador volcanoes, Denali, Mt. Waddington, and various other places in North America, he has significant expedition climbing experience as well as being a competent technical climber. I have climbed with AAI multiple times. This was one of, if not the best experience so far. From beginning to end everything was perfect. The itinerary was clear and coordinated, the staff/guides were exceptional, accommodations and travel arrangements very good. I could not have asked for more.